Yesterday evening, my family and I were watching a bit of T.V. My son, Michael commented about all the ads for nutrional supplements, juicing machines, weight loss programs and devices. “Oh yeah,” I thought, then explained to him, “It’s the start of a new year.” Following “spending more time with family,” available evidence shows exercise and weight loss top the bill of resolutions. Other research shows that a whopping 80% eventually break these well intentioned commitments. Fully a third won’t even make it to the end of the month! Most attribute the failure to being too busy, others to a lack of motivation. Whatever the cause, it’s clear that, when it comes to change, hope and belief will only take you so far. What can help? More on that in a moment. In the meantime, consider a recent study on the role of hope and belief in research on psychotherapy. Beginning in the 1970’s, study after study, and studies of studies, have found a substantial association between the effectiveness of particular treatment models and the beliefs of the researchers who conduct the specific investigations. In the literature, the findings are referred to under the generic label, “research allegiance” or R.A. Basically, psychotherapy outcome researchers tend to find in favor of the approach they champion, believe in, and have an affinity towards. Unlike New Year’s resolutions, it seems, the impact of hope and belief in psychotherapy outcome research is not limited; indeed, it carries investigators all the way to success–albeit a result that is completely “in the eye of the beholder.” That is, if one believes the research. Some don’t. Hang with me now as I review the controversy about this finding. As robust as the results on researcher allegiance appear, an argument can be made that the phenomenon is a reflection rather than a cause of differences in treatment effectiveness. The argument goes: researcher allegiance is caused by the same factors that lead to differences in outcome between approaches: real differences in outcome betweepproaches. In short, researchers’ beliefs do not cause the effects, as much as the superior effects of the methods cause researchers to believe. Makes sense, right? And the matter has largely nguished there, unresolved for decades. That is, until recently. Turns out, believing is seeing. Using a sample of studies in which treatments with equivalent efficacy were directly compared within the same study, researchers Munder, Fluckiger, Gerger, Wampold, and Barth (2012) found that a researcher’s allegiance to a particular method systemically biases their results in favor of their chosen approach. The specific methods included in this study were all treatments designated as “Trauma-focused” and deemed “equally effective” by panels of experts such as the U.K.’S National Institute for Clinical Excellence. Since the TFT approaches are equivalent in outcome, researcher allegiance should not have been predictive of outcome. Yet, it was–accounting for an incredible 12% of the variance. When it comes to psychotherapy outcome research, wishing makes it so. What’s the “take-away” for practitioners? Belief is powerful stuff: it can either help you see possibilities or blind you to important realities. Moreover, you cannot check your beliefs at the door of the consulting room, nor would you want to. Everyday, therapists encourage people to take the first steps toward a happier, more meaningful life by rekindling hope. However, if researchers, bound by adherence to protocol and subject to peer review can be fooled, so can therapists. The potentially significant consequences of unchecked belief become apparent when one considers a recently published study by Walfish et al. (2012) which found that therapists on average overestimate their effectiveness by 65%. When it comes to keeping New Year’s resolutions, experts recommend avoiding broad promises and grand commitments and instead advise setting small, concrete measureable objectives. 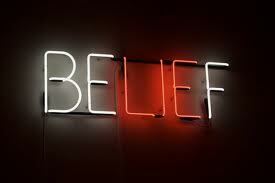 Belief, it seems, is most helpful when its aims are clear and effects routinely verified. One simple way to implement this sage counsel in psychotherapy is to routinely solicit feedback from consumers about the process and outcome of the services offered. Doing so, research clearly shows, improves both retention and effectiveness. You can get two, simple, easy-to use scales for free by registering at: http://scottdmiller.com/srs-ors-license/ A world wide community of behavioral health professionals is available to support your efforts at: www.centerforclinicalexcellence.com. You can also join us in Chicago for four days of intensive training. We promise to challenge your both beliefs and provide you with the skills and tools necessary for pushing your clinical performance to the next level of effectiveness.